Gravity Forms is one of the most popular WordPress Form builder plugin with a highly active developer community and plenty of addons to extend its functionality. 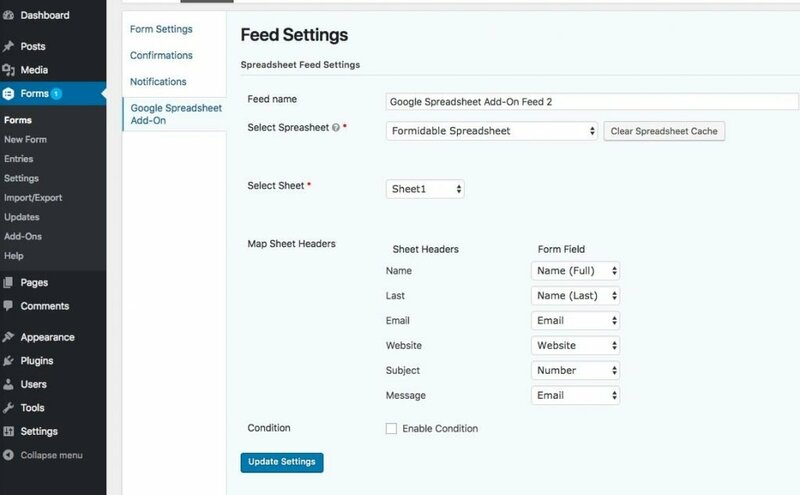 Gravity Forms to Google Spreadsheet addon lets you connect your form with Google spreadsheets so that whenever a new entry is created on your site then it automatically gets populated in the spreadsheet as well. The addon doesn’t put any restrictions on how many forms you connect to Google spreadsheet. You can select the spreadsheet which you want to connect with the form. If you have multiple sheets in your spreadsheet then you can also select to which sheet you want to send the data to. Each form field can be mapped with the headers of the sheet. So, when the form is submitted then the submitted data is placed under the proper header. You can connect as many forms as you want with spreadsheets with this addon. Buy Gravity Forms SpreadSheet addon from codecanyon. Once you purchase and download the addon the upload it into your WordPress installation from Plugins -> Add New -> Upload. Now navigate to Forms -> Settings -> Google Spreadsheet Add-on settings. Here you have to enter the Client Id and Client Secret of your account. If you are unsure about how to do this then you can check the tutorial here. Once you have added the ID and Secret then click on on Update Settings button. Now go to Forms menu and edit the form with which you would like to enable synchronization with speadsheets. Go to Settings and the click on Google Spreadsheet Addon. Click on Add New to create a new feed. 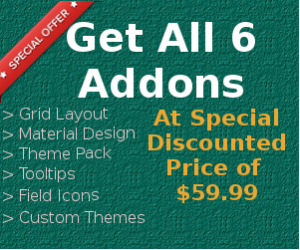 Now you will be greeted with the settings for the addon. Feed Name: You can give any name to the feed. It is just for your eyes and won’t be visible to users in frontend. Select Spreadsheet: This drop own is automatically populated with the list of sheets you have created with your Google Account. If you don’t see you sheet in the list then click on Clear Spreadsheet Cache. Select Sheet: Since a spreadsheet can have multiple sheets. From here you can select the sheet to which you want to send submission data. Map Sheet Headers: This setting lets you map your sheets header with Gravity Forms. This will show you form fields and next to each one of them you will have the option to select the column header under which the field data should get added after submission. Conditional Logic: Here you can specify conditions to determine whether data should be sent to Google Sheets or not. It is similar to how you would use conditional logic in Gravity Forms. Does this addon support file uploads field? Yes, it will send the link of the uploaded file to google spreadsheet. Are there any limitations regarding how many entries can be sent per day? No, there isn’t any limitation imposed by this plugin. Will it also import the old entries to the spreadsheet? Yes, you can send your existing entries to Gravity Forms as well. If you need any help with this plugin or want to share your experience then feel free to leave a comment below.